Later for the Netherlands, Cruyff’s status as the greatest Dutch footballer was doubted again when he and Willem van Hanegem played together. Van Hanegem was a left-footed midfielder who could read the game like few others in history. Indeed, after the World Cup of 1974, journalist Brain Glanville chooses Van Hanegem, and not Cruyff, as his player of the tournament, an opinion shared by others. When Cruyff returned to Ajax in 1981, he met his next rival for the throne: Marco van Basten. A few years later, AC Milan striker Van Basten was voted Europe’s best player. Winning the Ballon d’Or three times in total – emulating Cruyff in the 1970s – he also became FIFA’s World Player of the Year in 1992. Diego Maradona called him the greatest striker he ever saw, but a serious ankle injury ended his career earlier than most predicted. What if Van Basten had played until he was 37, like Cruyff? May we be talking about the former Ajax star as the Netherlands’ greatest footballer? Romance and blind loyalty aside, it’s a fair question. Beyond the hypotheticals, of course, none of the aforementioned players are better than Cruyff, both in terms of talent and legacy. In history, that accolade, in Cruyff’s own words, belongs to one man: “He may be the only player who is more talented than me.” His name is Willy Dullens. This is the story of a man as talented as Lionel Messi, as motivated as Cristiano Ronaldo, and as unlucky as Achilles. Willy Dullens was born in January 1945 in Broeksittard, a small village close to the German border, in the southern Dutch province of Limburg. The end of the Second World War would soon arrive and people started to rebuild their lives in whatever way possible. For most of the men, that meant packing their bags once again and heading underground in search of black gold. Coal mines brought Limburg great wealth. The danger and serious health consequences were only partly known at that time – at least amongst the workers, anyway – but no average man could resist a role offering upto 75 percent higher wages than the norm and an abundance of work. Dullens’ father was one of them, and his wife stayed at home to look after the kids. They lived a typical Dutch life during de Wederopbouw (the name for the period after the war in the Netherlands): hard labour during the week and weekends spent in church and watching sport. For Willy, only one thing was important: football. Day and night, alone or with his brothers, it was always the about the ball. Two of his brothers, Zef and Louis, also became footballers, and they even played a match together, with three Dullens in the starting line-up for Sittardia in 1968, a record to this day. While Willy’s family followed the Holy book, the youngster instead studied a very different one. Dullens’ bible was a small book called Voetballen doe je zo (This is how you play football), written by famous Dutch football star, Abe Lenstra. He learned all Lenstra’s moves and practised them until he could do them without thinking. His goal was perfection – anything else was for losers – in Willy’s mindset, something he achieved through endless repetition. “On one day I started juggling the ball. My dad came home from his work and asked me my personal record of the day. I told him 3,500 times, and after that, I continued practising. When I reached 6,000 times I stopped, because I was convinced nobody would ever break that record,” Dullens said in later life. As a young boy he dreamed of Faas Wilkes, Alfredo Di Stéfano and Omar Sivorí, of playing for Real Madrid and favourite Dutch club, Feyenoord. His dribbling was his biggest strength; aged eight, people would already refer to him as Willy Wilkes. Like Wilkes, he could trick four or five defenders in a row. “I trained six hours a day by myself. The key, in my opinion, is discipline and ambition,” he said. “The training sessions at the club were very easy for me. I cannot remember ever being exhausted after I came home.” Dullens, who preferred to play with the number 10 on his back, became a sensation at his amateur club Almania as all the professional sides in Limburg tried to persuade him to join their academy. By 14, Almania’s manager could no longer resist playing their young star and Dullens made his debut in the first team, having to use his brother’s birth certificate to dupe the referee into thinking that he was 16. He shone against guys twice his age, and a few short years later switched to Sittardia, one of the local professional clubs playing in the Dutch second tier. He signed a contract for 3,000 guilders a year and became a footballer; part one of the dream was complete. His debut in the First Division came in 1963 when he was just 18 years old. He scored 18 times over the course of the season and became one of the youngest First Division top scorers of all-time. Thanks to Dullens, Sittardia were promoted to the highest level – the Eredivisie. Despite going straight back down, Dullens was a phenomenon in his first season, bamboozling the league’s best defenders with a level of skill rarely seen in the Dutch game. He was still just 19. 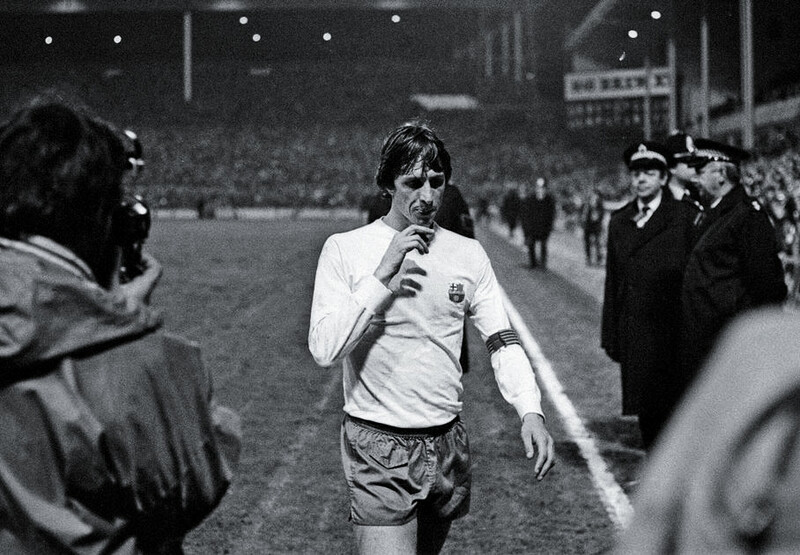 Dullens wasn’t a rebel like Cruyff, who symbolised Amsterdam’s power from a young age. From the start, Cruyff talked like he had been in the Ajax first team for years, even towards teammates who were old enough to be his father. As long as he was right and could prove his words on the pitch, few argued back, though the authorities often tried. Rancour was always his biggest motivator. Willy Dullens was the opposite, a man who hated quarrels and preferred to let his feet do the talking. Nevertheless, he wasn’t intimidated by Cruyff, because his ambition to be the best player in the world made him fearless. He liked Cruyff though he couldn’t understand why he smoked like a steam train. Such a thing was impossible in Dullens’ mind; his health was his most valuable commodity. When they played together during training sessions with the national youth teams, Dullens noted that Cruyff was an extremely gifted player, but not better than him. They were different; Cruyff was an unstoppable striker and Dullens played more like a number 10. In Willy’s memory, they never lost a match when they played together, which makes them the Dutch variant of Pelé and Garrincha. They eventually became friends, deeply respected each other, and together with Willy van der Kuijlen from PSV Eindhoven, formed the front line of the biggest wave of talent in Dutch football history, which would rule European football for a decade. Although Sittardia were relegated from the Eredivisie in 1965, Dullens had left a big impression on the domestic game. Everywhere he played, people would say that thanks to the young man in midfield, Sittardia might escape relegation. His skills were so unique that neutrals came to the stadium just to see him play. Famously in a match against SC Veendam, Dullens started dribbling in his own box, going past seven opponents before calmly scoring at the other end of the pitch. The crowd went wild, people tried invading the pitch, and even the referee clapped his hands in front of Limburg’s favourite son. In the northernmost part of the Netherlands, people would talk about Dullens’ wonder goal for years. On 27 April 1966, Dullens played his first match for the Netherlands, in a Rotterdam friendly against their rivals from the south, Belgium. In a sold-out De Kuip, the Dutch beat the Belgians 3-1, however nobody talked about the result afterwards. The next day’s newspapers noted that the new Faas Wilkes had arrived – and his name was Willy Dullens. After the game, players from both sides had dinner together, and when Dullens’ name was announced to come forward, all the players rose from their chairs and gave him a standing ovation. A few years later, Dullens would state that this was one of the finest moments of his career. Two weeks later, the Dutch played again, this time in Glasgow. At Hampden Park, the Netherlands pulverised Scotland 3-0. Dullens was even better than two weeks before but was overshadowed by the brilliant Piet Keizer, who registered one of his greatest but most forgotten Oranje performances. Together they turned the Scottish defenders inside-out with their dribbles, combining with speed and trickery on the left flank. Close friend Willy van der Kuijlen scored two goals as the Dutch press started to believe in qualification for an international tournament for the first time in almost 30 years. 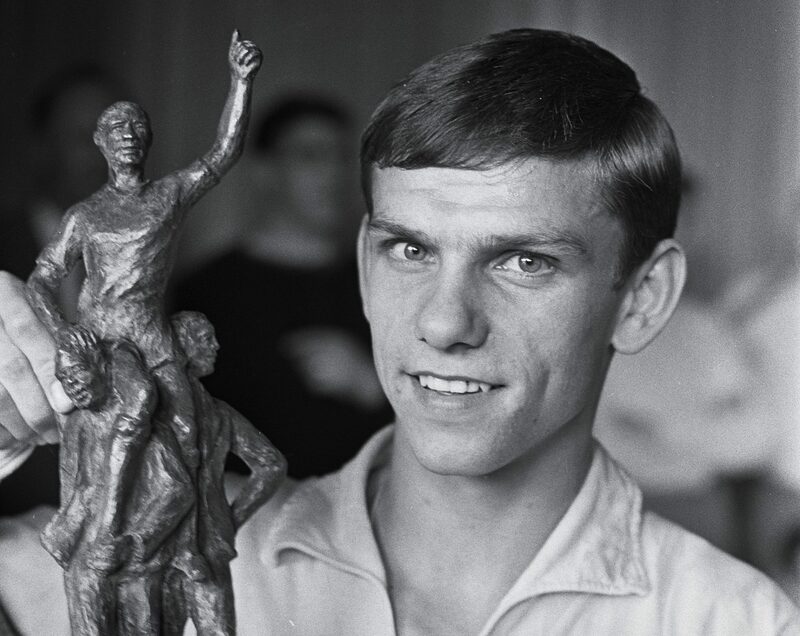 After an excellent season back in the Eredivisie for Sittardia, one which would see giants like Anderlecht vie for his signature, Dullens would head to the Amsterdam Hilton for the national Player of the Year awards, something he was sure would go to Cruyff, a player in the top tier. That night, though, a miracle occurred as Dullens became the first player from a club outside the Eredivisie to win the coveted award. He was picked ahead of Rob Rensenbrink, Willem van Hanegem, Rinus Israël, Willy van der Kuijlen, Piet Keizer and, of course, Johan Cruyff. Dullens, with the world seemingly at his feet, would later say that winning the award was the greatest moment of his career. That summer, Feyenoord came close to signing the midfielder. With a player like Dullens in their squad, they believed they could compete with the rising force in Amsterdam and offer a genuine alternative to the Cruyff machine. Despite willing the deal on, Dullens eventually remained at Sittardia as the club’s hardball negotiating tactics turned the Dutch giants away. In August 1966, Sittardia played a friendly against Vitesse in preparation for their coming season in the Eredivisie. Dullens, frustrated by his failed transfer to De Kuip, didn’t want to play, instead wanting to go to the National Greyhound Race, where he would hand the trophy to the winner. The referee didn’t blow his whistle and the game continued, but something was wrong. Dullens hopped off the pitch with the assistance of his teammates. That afternoon, the radio reported that nothing noteworthy had happened during the weekend’s action besides Willy Dullens having to leave the pitch with an injury. At that moment, nobody predicted that they’d never see their beloved star dribbling past defenders again. Dullens wanted to go to the hospital but Sittardia’s doctor told him to go home and rest. He took his rest and, four weeks later, started playing again, however he knew something was seriously wrong with his knee and that some ice in a bag wasn’t enough to help him. 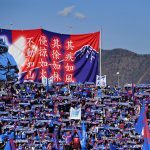 At Sittardia, his coach would tell him not to act like a child and to play; the club needed him in their battle against relegation. Over the next four months he carried on playing, even appearing in two more matches for the Netherlands, but everybody could see that he was no longer the unstoppable Willy Wilkes. He couldn’t dribble and was keen to pass to avoid any contact. After an eight-hour operation and a visit to one of the leading knee surgeons in Europe, Dullens’ fate was sealed: he would no longer play football – his body just couldn’t handle it. The man who had beguiled and twisted his way into the hearts of the Dutch fans was now having to retire aged just 22. In 1969, a few months after Dullens had officially retired, Cruyff and his former teammates arranged for a special match to be played for Dullens, as a way of supporting him and a life outside the game. In August, Ajax played a friendly against Alemannia Aachen in the Amsterdam Olympic Stadium. Over 55.000 spectators came to see Willy Dullens for the last time on the pitch. Interestingly, the demise of Dullens also coincided with that of Limburg’s. As the coal mines closed, unemployment rose, with drug use and crime rising as a result. At a time when the people needed a hero most, Dullens’ body – which he had maintained to perfection – let him down. 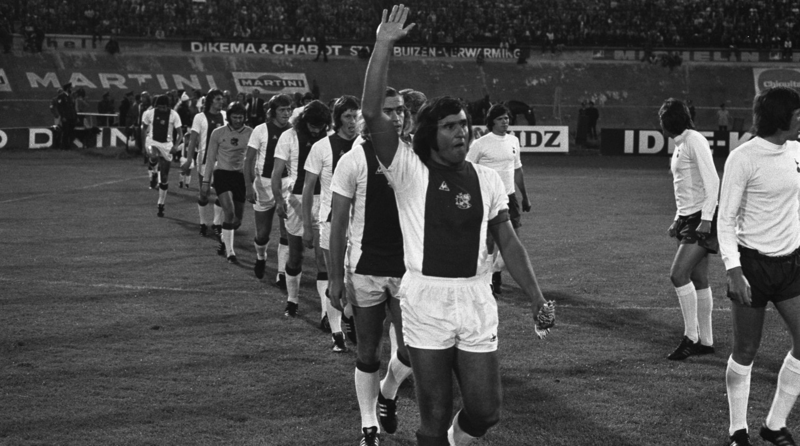 For Dullens, his farewell match marked the final time he would set foot in a stadium for decades. The pain of seeing inferior players was seemingly too much to handle for a man who devoted much of his time working with professional cyclists. Even that proved hard, with Dullens noting that he struggled to work with athletes who didn’t value professionalism as much as he did. Aged 29, Dullens would drink his first beer – eventually becoming lost in a swathe of late nights – and later opened a barbershop. Incredibly, people would come from all over the country to have their hair cut by the former number 10, who would share stories of Cruyff, the national team, and of the seemingly countless times he embarrassed defenders. Dullens, with a successful business and a young family, was able to walk pain-free, with many believing him to be over the sorrow and fury of his career ending so early. That was until the summer of 1988, when the Netherlands became European champions thanks to Marco van Basten and co.
That summer, Willy’s anger from the previous two decades came out and he suffered from acute depression. 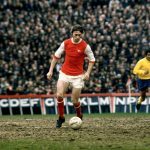 He’s spent hours going over the glory days of Ajax and Feyenoord, as well as the Netherlands’ two World Cup final appearances in the 1970s, sure that he should’ve been there. He’d spend hours talking to Rinus Michels, Cruyff and Keizer alone on the floor of his bedroom, desperate to go back to the days when he was one who shone brightest. “The four months between the accident and the surgery destroyed my knee. I could not forgive myself for being so stupid not to listen to my own body. I even played two more games for the national team. Looking back on that period, not going to a doctor is the stupidest thing I have ever done,” Dullens later regretted. While his depression never reached suicidal thoughts, it took him until the turn of the century to recover parts of the personality that made him so likeable. A step in his road to recovery was mastered by an old friend and rival. In 1999, Johan Cruyff was asked to select his Dutch squad of the century. They would play the Match of the Century in the Amsterdam Arena against the best foreigners to ever play in the Eredivisie – and the first player Cruyff called was Dullens. 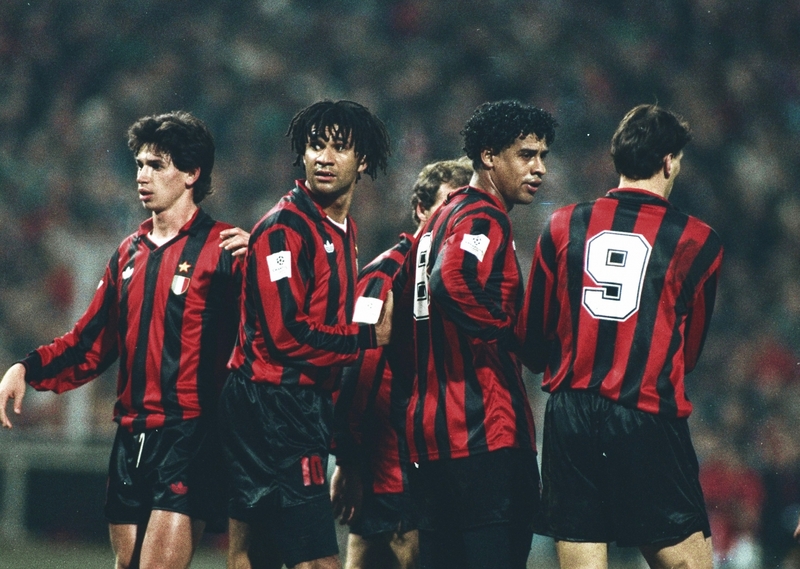 That night, Dullens would stand alongside legends like Ruud Krol, Johan Neeskens, Ruud Gullit and Cruyff. Compared to the others, who had long international careers and won dozens of trophies, he was again the smallest one on the pitch, like he had always been. But remarkably he was there, after a career of just three seasons at a small club from rural Limburg. It filled him with pride and had a profound impact on his mental wellbeing. It also brought Dullens’ spectacular talents to a new generation of fans. His progress even saw Dullens appointed as a technical advisor at a number of clubs in Limburg as the province finally called upon one of its most gifted sons. He’ll never lose the love of those that saw him play, either.